Home / How to / How to read Deleted WhatsApp Message || Even if your mobile data is off. How to read Deleted WhatsApp Message || Even if your mobile data is off. 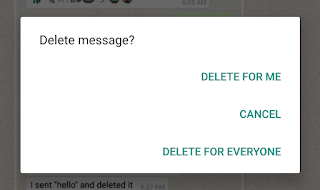 What's app, the instant Messaging social app marketed by Facebook, out of the blue rolled out a new feature recently called "Delete For Everyone" which had an arch effect. Do you really think that if someone deleted a message then you will never be able to retrieve it? Well, I assure you that you are Wrong. 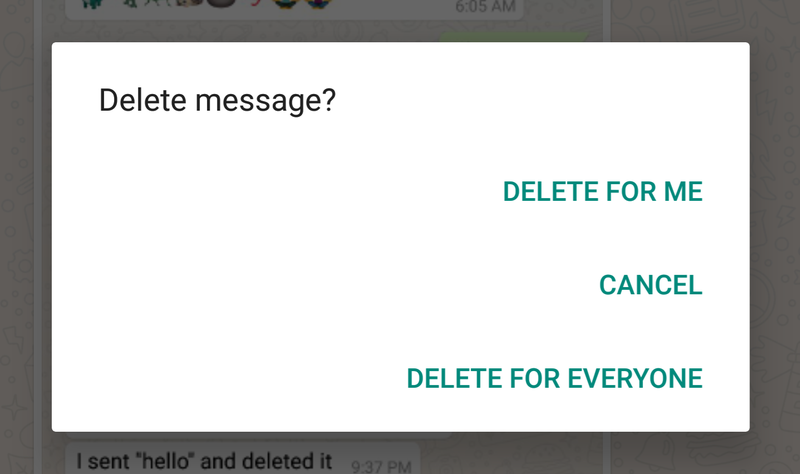 A new report tells that all the deleted messages sent to you are actually in your device, and you can view easily if you take some pains to find them. An Early Spanish Tech Blogger Jefe said in his blog that Deleted messages are actually present in the notification log of the device. He adds that the receiver can easily access every one of the Deleted messages paying no heed to whether it has been deleted or not by the sender. He said " All the messages are actually stored in the notification register of your Ios or android devices. So it not a big of a deal if you want to see the messages Deleted by the sender ". Jefe explains that anyone can see the Deleted sent to them via third Party through an app called "Notification History" OR "WA delete for Everyone "which you can find it on Google Play store. After you have downloaded the app, you will have to search the message inside your Android Notification Log. -then Finally on to the Last click on notification Log. Now You can access all of your's system's Notification log as well as the Deleted Messages of What's app. Tecxyz tried both the Notification log app's and the results were promising as both the trick worked properly on the Android Devices. However as it is said "Nothing is perfect" following the same Trend there arises a few minor Limitations, as the messages which had vibrated your phone 'per se' generated a notification in your Device and the messages seen or been interacted with while being amidst the Notification Bar can only be recovered. In the present Scenario, the interaction can be interpreted as to wipe away the original copy of the Messages whether in the Notification menu or as a Floating message -In such case, you might have been already able to read a few Part of the message. This method is only the right way if you have not restarted your phone after Receiving the message From the Third Party. Not to worry but their's teeny tiny bits of some more setback in the method as it only displays the First 100 characters of the Deleted Message (According to me That's more than Enough 'cause when you chat you Don't write Essays you Write Lines.) Also, the Feature is Restricted to only Android 8.0 or Above . and can Retrieve only Text and no whatsoever Emoticons or audios or photos or videos. It's not the First time that we heard this news, the report claimed from the launch of the Feature exceptions in the field of completely deleting the message. Last year an ios professional 'Jonathan Zdziarski' did claim that what's app messages can be seen despite it being archived or deleted. Among many others one of gigantic use cases of the feature "Delete for Everyone"is that it set to as when the user sends a message to the wrong person or if the message sent contains errors, it is one of the latest feature added to What's app in the long Bucket List after the last update of world-changing socially Beneficial app called "WHATS APP".